Get this excellent 15-inch laptop for a steal with this Amazon Prime Day laptop deal. 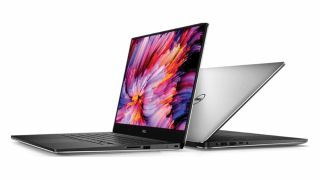 The 15-inch version of Dell’s best-in-class laptop is everything you’ll need for your day-to-day routine: it’s a reliable clamshell, with powerful processors, that just gets the job done. It comes with a spacious and comfy keyboard, extensive battery life and a wide range of ports (including those we don’t often see anymore, like full-size HDMI and two USB Type-A’s in addition to the long-endangered SD card slot). The Dell XPS 15 is one of the best 15-inch laptops money can buy – and at this price it’s a bargain. Save £399.01 - This Dell laptop packs a tremendous punch for its size. It sports a virtually borderless Infinity Edge display, an Intel 7th Generation i5 processor, and Nvidia GeForce GTX 1050 graphics. There's 30% off for Amazon Prime Day right now, for as long as stocks last.